I was lucky to get a new iPad on release date and one of the first apps I loaded was Apples own iPhoto, pretty but limited and faulty - more on this later. 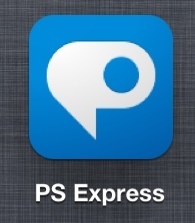 Now a few weeks later my many photo apps are settling down to a well proven bunch. I plan to write a more detailed review on the better ones in a little while but here is a quick overview. The above image is roughly sorted into the order of usefulness. A great general purpose editor with all the usual "serious photographer's" functions and with some batch tools. I cropped all the icons in this post and then batch uploaded them to Picasa Web Album all from within this app. A very well designed powerful editor which uses the gestures available iPad to good effect. You can also buy a Mac version for little money. 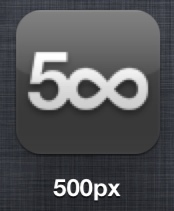 Adobe's app that first came out for Android kit. At first sight this looks really good, powerful and logical interface that will function well after some time spent in tutorials. Main problem is that the photo is restricted to a maximum of 1600x1600 pixels, which means that you do not realise the full capability of the new iPad display. When/If Adobe update this I will spend more time on it. This is a new addition to my apps and I am very impressed. Lots of function and masses of pre-sets for various effects but also the ability to make your own adjustments. 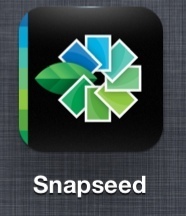 This together with Snapspeed provides me with all the special effects I will ever need. 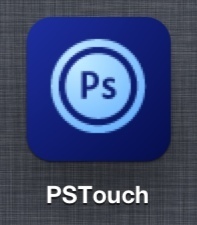 Adobe's free photo editing app. Useful for quick adjustments and can export direct to Flickr. Doubtful I need it now I have the above. 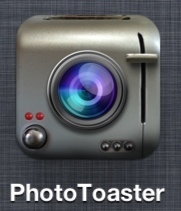 Apple's much lauded photo app. Now I am a bit of a fanbois but this has dissappointed me. OK it looks fantastic, but the editing has a zany interface but basic editing is quite limited. There is also a fault that it creates duplicate copies of photos. I noticed this whan after just a few days it was taking over 1GB of space and some photos had 7 duplicates. This is well documented on the forums. I have un-installed and re-installed in the hope that I will receive notification of update that fixes the problem. View and share photos online. 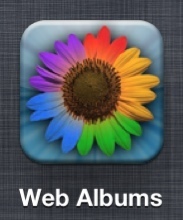 You can upload from iPad to specific album and copy image URL to include in web pages or add to email. Similar to the above but this time for your Flickr account. 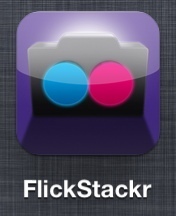 Very powerful, you can update and modify most things related to your Flickr photos from this app. 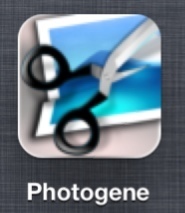 I use PhotoGene (see above) to upload photos from iPad to Flickr. You can add Tags but not target to a specific set but once uploaded the photo can be placed in any set from within this app. Viewer for this up and coming photo service. I am quite new to 500px and only have free account but the word on the street is this is better for Pros than Flickr. Not convinced yet and still evaluating service. This app is not as powerful as the previous two. 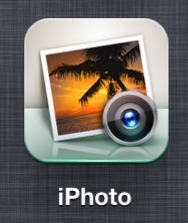 Another app for another photo sharing service. 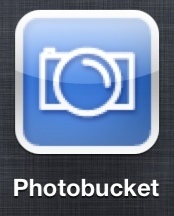 I considered using PhotoBucket as a source for photos to be used in web development. I tend to use Picasa and Flickr these days and so I do not expect to be using this much in the future. 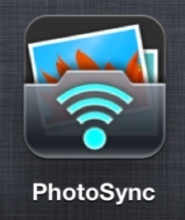 Before iCloud I used this app to wireless transfer photos between iPad, iPhone and MacBook. I had deleted it but in the early days of iCloud I found my iPhone would at times discharge quickly. I was not alone in this and suspicion fell on iCloud so I disabled Photo Stream and this stopped problem. So I reinstalled this app. Now Apple seemed to have fixed the problems and I again use Photo Stream and have no battery life problem. 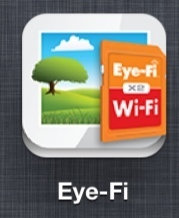 A specialised App for those people who use an Eye-Fi card in their camera. Eye-Fi cards also provide wireless connection so photos can be shared automatically without physical connection. This has a bit of a cult following so I thought I had better give it a try. It seems a bit "point and shooter" orientated and gimmicky for my taste so it will probably not last long on my iPad, especially as it has just been purchased for 1 billion dollars by Facebook. 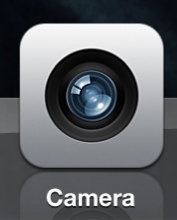 These last two apps are primarily for taking photo, and of course movies. 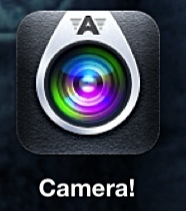 Apple provided camera App. Does a good job and of course no extra cost. Extra features include burst mode, delay photo until stable, interval timer, shutter delay. 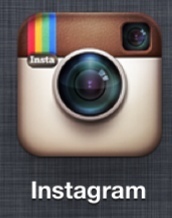 Also has Instagram type filters but I rather do this in Snapspeed and/ or Photo Toaster.